O’Hara Seafoods applied 30 mils (0.75mm) of ACS Ceramic Insulation Coating (ACS CIC) on their Seattle office roof top to eliminate solar heat loading that added 30F (17C) to their building roof. That heat penetrates into their attic and eventually warms up their office space. Adding the thin layer of ACS CIC to the roof top to eliminate 25-30F of heat loading during the typical Seattle summer day to improve Monday’s for O’Hara’s office staff. 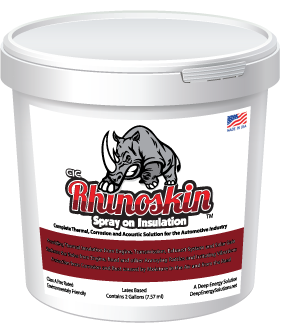 Basically, the whole roof mass becomes a heat sink that stores up the higher temperatures during the summer. As the structure becomes saturated with heat during the day, it radiates that heat into the rooms below. That raises AC use. O’Hara staff measured a 25F to 30F daily reduction of the roof top temperature compared to the front porch roof temperature. In hotter climates, exposed metal can reach a temperature of 155F/68C temperature. So-called reflective roof coatings do not reduce roof temperatures as effectively. Their ability to diffuse (block) the full spectrum of solar radiation that heats surfaces is limited. 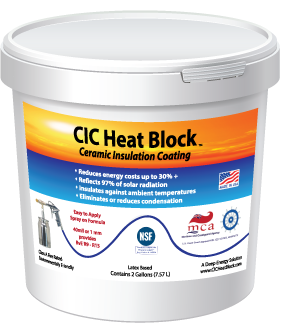 ACS CIC diffuses solar heat penetration across a much broader spectrum of heat carrying wavelength and that’s why it’s more effective for this purpose. ACS CIC applied on exteriors eliminates that solar heat loading effect, reducing surface temperatures very close to ambient levels. 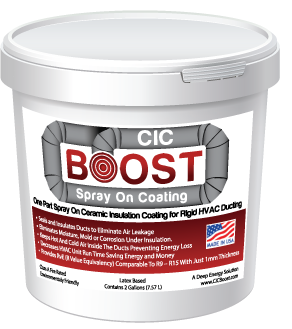 When used on ship interiors, ACS CIC reduces exterior heated surfaces from 155F/68C to about 100F/38C when applied at a thickness of 80 mils (2mm).